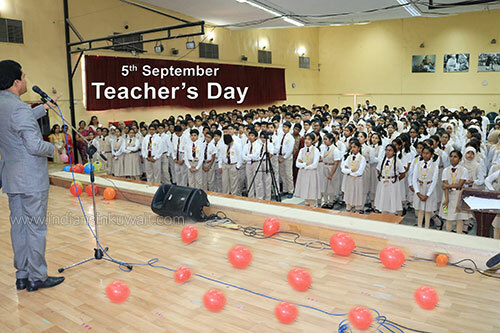 5th September is celebrated as Teachers’ Day as a mark of tribute to the contributions made by the teachers. This is the right time for the students to express their feelings of thankfulness towards the teachers .Our students expressed their love and gratitude to their ‘Teachers’ on this blessed day. 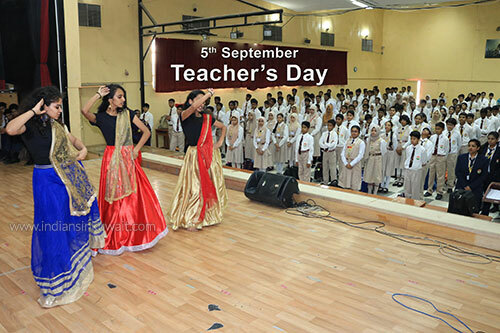 The entire programme was organized by the school senate.The thoughtful and respectful ‘Teachers Day’ celebrations reflected the fact that the students respected , appreciated and cared for the teachers.The students presented a series of cultural programmers.A melodious duet song followed by an enchanting dance number enthralled the audience. In response, appreciating the efforts put by the students in organizing the event, Dr V. Binumon, Principal and Senior Administrator said, “Respect should come from heart and not through the cards and gifts.” He expressed his heartfelt thanks to the teachers.He paid homage to Dr Sarvepalli Radhakrishnan,the first Vice President of India and the Second President. Senate Advisor, Mr George Swamy enlightened the students with a motivational speech. The day was enjoyable, thanks to the efforts put in by the School Senate.